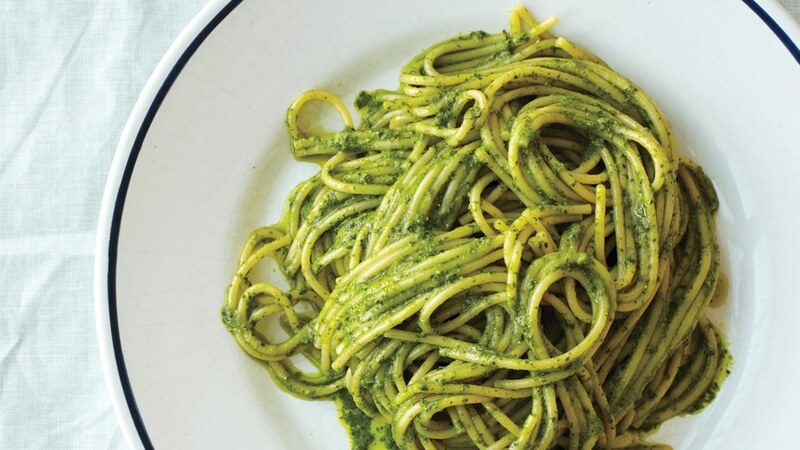 This recipe makes more pesto than you'll need. Serve the extra with vegetables or fish, or spread it on sandwiches. This is part of BA's Best, a collection of our essential recipes.